The first month or so back home wasn’t the most enjoyable for me. Part of me wished that we were still out there doing it. Mainly I missed waking up on the hook in a pretty anchorage, and drinking coffee in the cockpit while Mats snorkeled around the boat, or checking the surf nearby. Cold, windy, foggy SF Bay took some time to appeal to me again after enjoying clear 80 degree water and warm, calm anchorages, not to mention the great fishing! In fact, it took me almost two months to motivate, put on a wetsuit and clean Alsager’s hull. But, a big part of it was dealing with the reality that it was time to find work and make some money, as a year of traveling is not easy on the bank account. 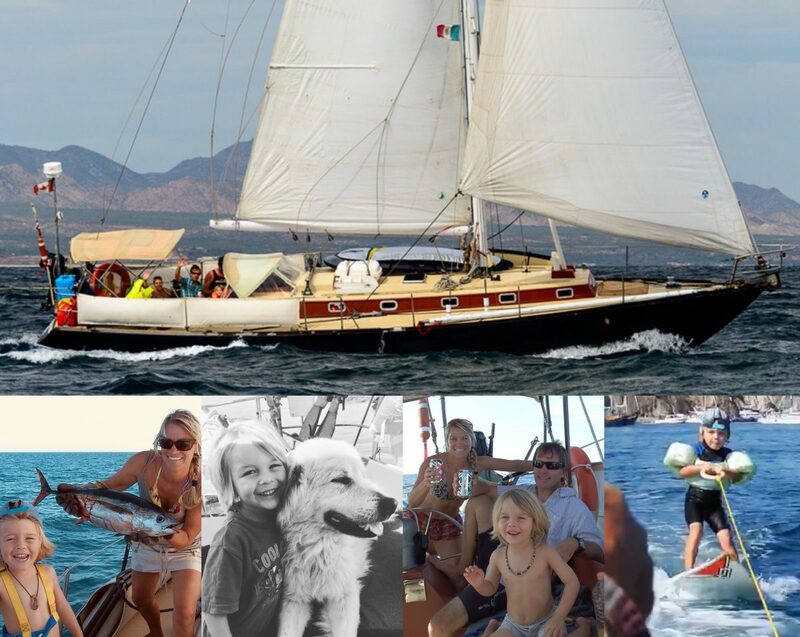 While our time spent sailing to Mexico and staying aboard there cost very little, the long return home and associated flights, combined with the trip to Europe ( Iceland, Germany, France and Switzerland – my wife and her family took care of most of that great adventure) added up very quickly. Secondly, I was faced with the reality of dealing with a shoulder injury I had long been putting off, and was not looking forward to the often painful process that is healthcare in America. I’ve always had great service on the medical end of things, but on the admin side it has been a shocker, leaving me wondering how it’s possible that some of these people hold their jobs (and so far my expectations have been met yet again…). Thirdly, I had a hard time adjusting to the HUGE cultural differences between life in America and outside of it, from the simple things like a restaurant experience, to bigger issues like the near daily shootings and the political mindset of so many…something which provided part of the impetus for us leaving in the first place. It seems to be only here that complete strangers feel it is okay and necessary to try and impose their will on you…within a few weeks we’d been told how Mats should or shouldn’t ride his bike, how to walk our dog, how to park the car, and the list goes on…all this despite Americans viewing themselves as more ” free ” than everyone else in the world. Fortunately, this last issue has been offset by the many great friends we have that don’t fit into this equation. Two and half months later, we are pretty happy to be here and things are going well. I’ve been very busy with a combination of chartering Alsager, doing some delivery work down the coast, and working on and moving boats locally. When work has been slow, I’ve spent time taking care of Alsager’s cosmetics, and getting her out for a sail a few times a month has been nice. It’s also great to be back on ” Mercy ” our 1972 46′ Bertram live aboard. Her two mains and generator fired right up, which was a nice homecoming for me! It’s been months now since I caught any waves, partly due to being too busy and to lack of motivation, but also because I haven’t got any wheels. I really enjoyed not being in a car over the last year, and to save a few bucks in the short term we’ve been making it work with one car. That will change soon, as I’ve been working on getting my van back on the road and am now looking forward to that. And also to be able to drop-off Mats at daycare when needed. Mats is as happy as ever, especially since he gets to spend time with his best buddy and boat neighbor ” Gunnar T “. He does miss jumping in the water for a swim, but soon we’ll suit him up to catch some waves again at Bolinas. He is also very happy ” arbeiten ” with Tanja, who is now very busy and happy with her new gig dog walking! She combines work from Rover, and Buckydog, and has just officially started her own business – SimplyDogWalk.com. Going forward, we are trying to make more of an effort to find time to spend with friends and family (this part is not easy because our families live in Canada and Germany). I’m also excited to camp in the van again, and about seeing the mountains and snow again. The big news for me is that beginning next January I’ll be working for SailGP Race Management, setting marks for foiling catamarans once again! The first year sees events in Australia, SF, New York, England and France. It’s going to be a busy one as I also expect to deliver a boat or two back from Mexico, and possibly from Hawaii again too. Alsager now lives on a mooring just outside our marina fairway. It has its downsides, but I got used to her hanging on the hook in all kinds of weather over the last year and we have a slick davit setup on Mercy for our tender ” Gooey ” which makes it easy and quick to get to her. We love our local marina, but the annual price increases have made it very pricey these days (along with everything else in Marin!). Inevitably at some point we’ll bring her back in off the ball, but for the time being the huge savings help us to get caught back up financially. If/when ” next time ” happens (perhaps a Hawaii/Alaska loop! ), as I wrote previously I would not change much about our year away, and I don’t have any regrets. Tanja really pushed to make it happen, and I’m forever grateful. That being said, when it came time to come home, I would plan on delivering Alsager back rather than trying to carry on the cruise. While we certainly enjoyed parts of our time heading north from San Diego, the time and costs involved were what created the unnecessary stress we felt when we reached home. It’s analogous to our previous road trips to BC. While the long drive up is really enjoyable, the return trip home becomes more of a chore and something that for the most part, one just wants over and done with.